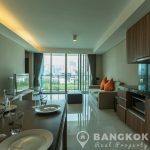 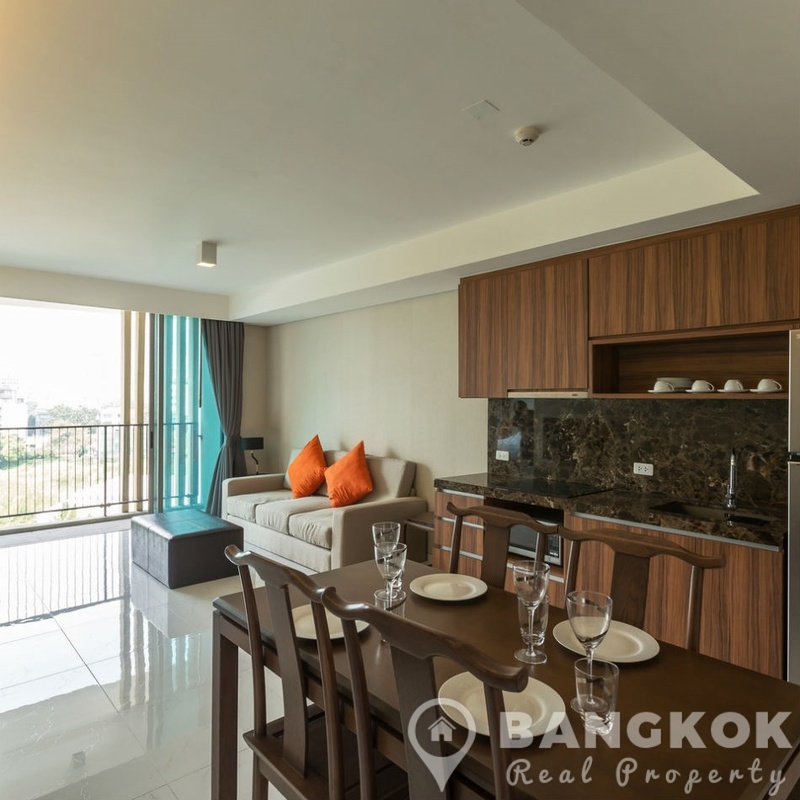 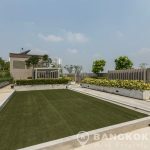 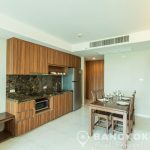 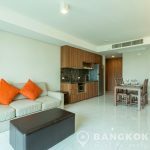 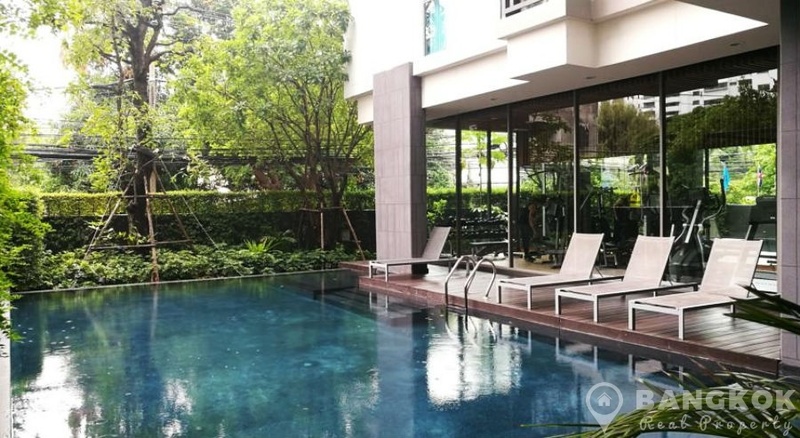 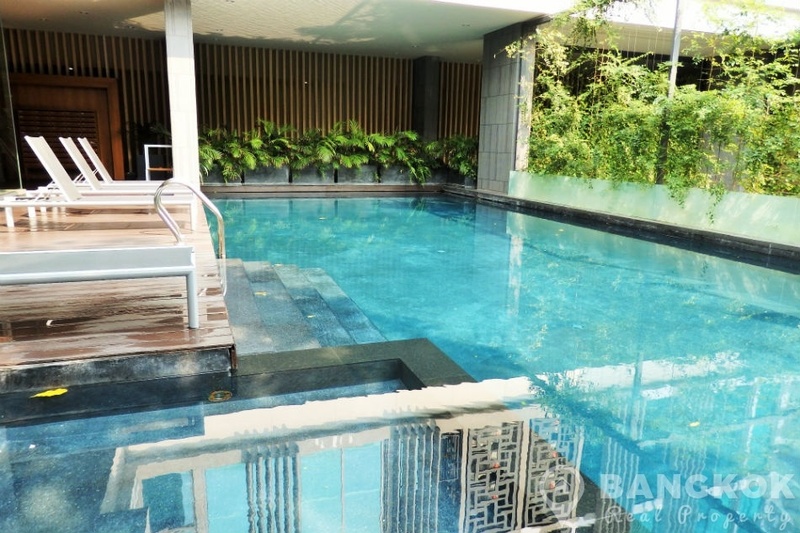 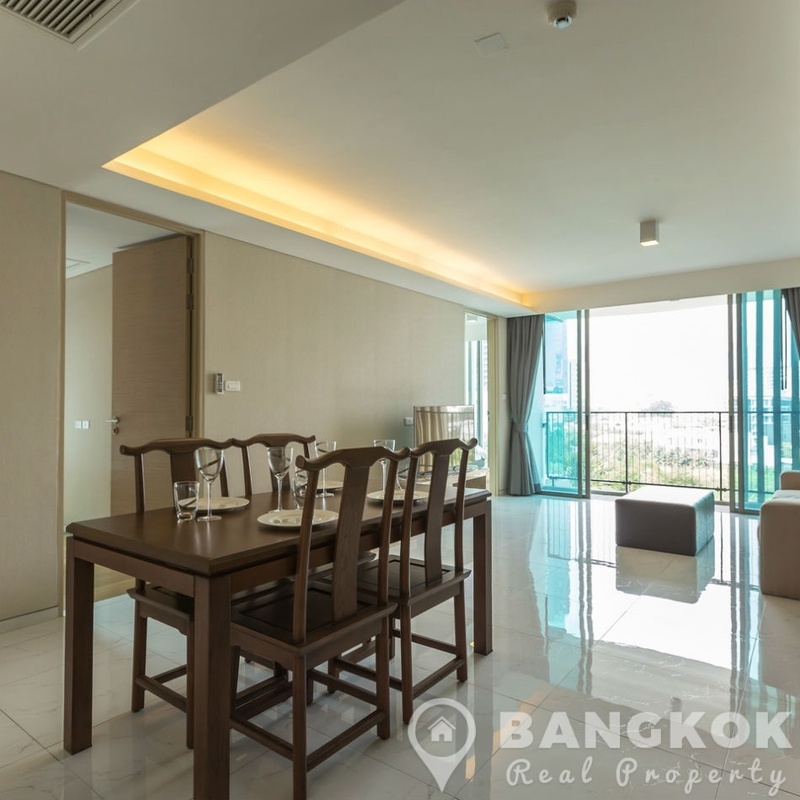 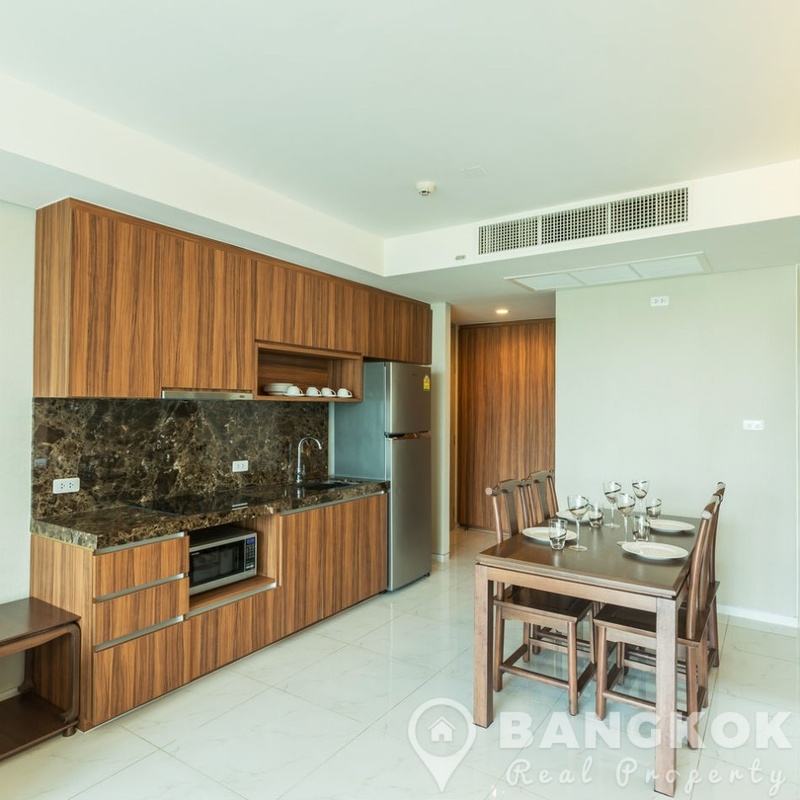 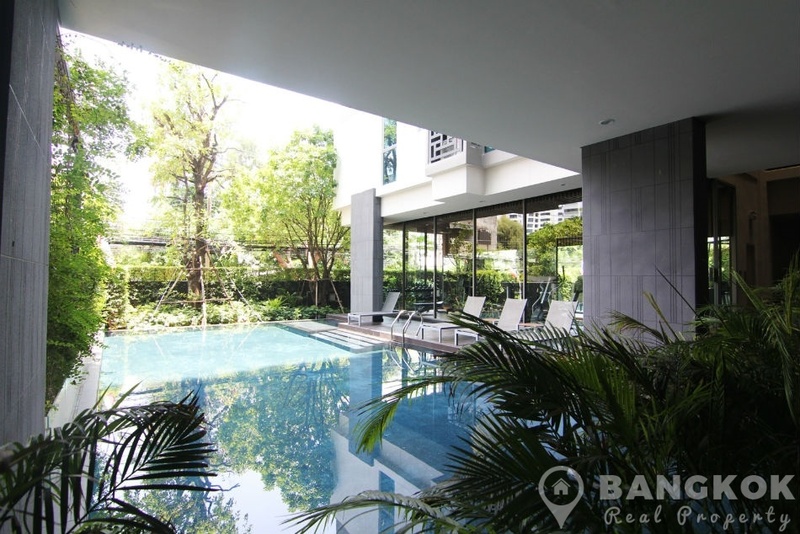 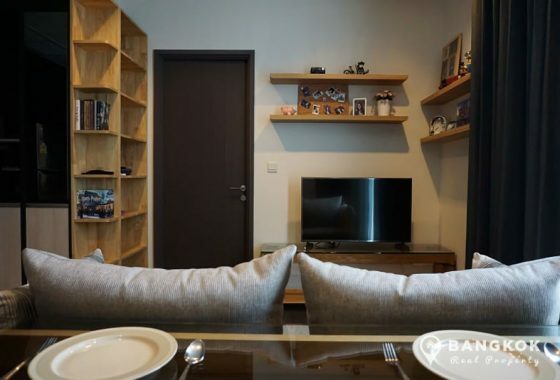 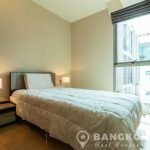 A stunning, modern and spacious 2 bedroom condominium is now available to rent at Siamese Thirty Nine superbly located in the heart of Sukhumvit nestled on Sukhumvit 39. 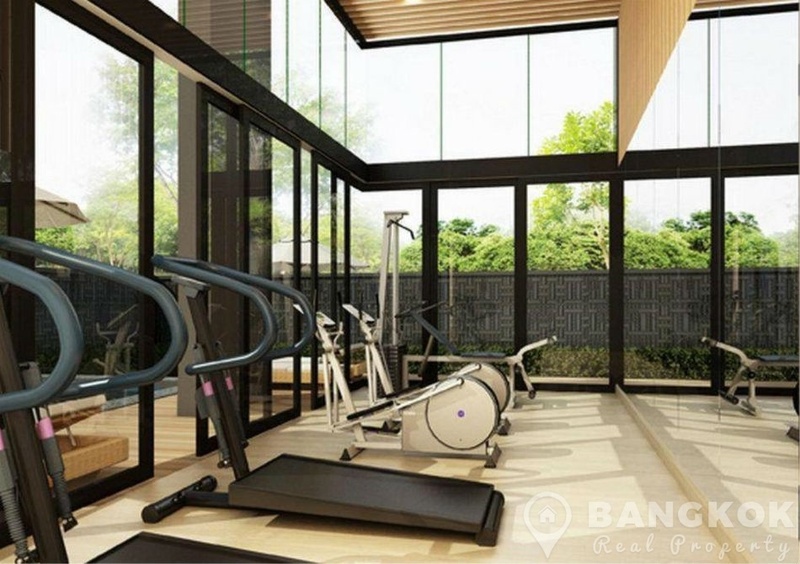 This luxury, low rise development by Siamese Asset was completed in 2013 is within walking distance of Phrom Phong BTS, The Em District, Terminal 21, The Emporium, UFM Fuji Super, Villa Market, Benchasiri Park and several top international schools including NIST and The American School of Bangkok. 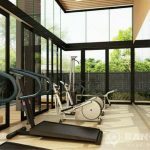 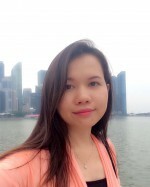 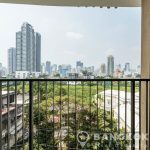 On a high floor of the Siamese Thirty Nine, this stunning, bright, condo has 2 bedrooms, 2 modern bathrooms and 72 sq.m of living space with a large balcony and clear unblocked city views. 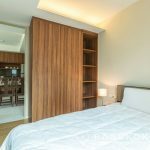 The unit is fully furnished and most tastefully decorated in a modern style, with ceramic tiled (wooden floors in bedrooms) throughout and large picture windows to allow light flood in. 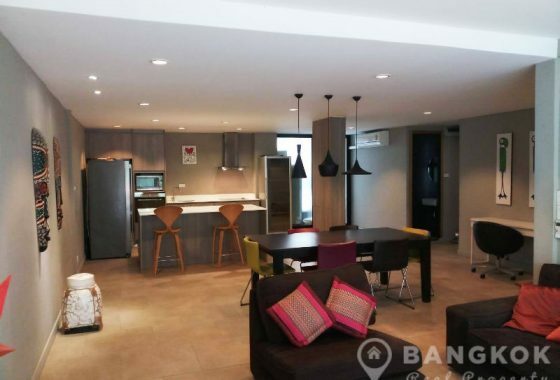 The open plan living-dining kitchen is well appointed opening onto a large balcony, a modern galley style kitchen with granite work top, good storage and a built in electric hob & extractor fan, microwave, fridge freezer and washing machine. 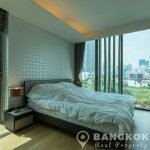 The master bedroom (double bed) has a large picture window, excellent storage and a glass partitioned ensuite bathroom with bathtub and shower and separate power shower. 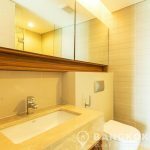 The 2nd bedroom (single bed) and a large built in wardrobe and use of the main family bathroom with power shower. 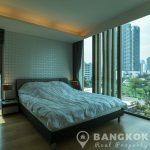 Siamese Thirty Nine is a condominium project, located on Sukhumvit 39 in the heart of Phrom Phong with easy access to Phrom Phong BTS. 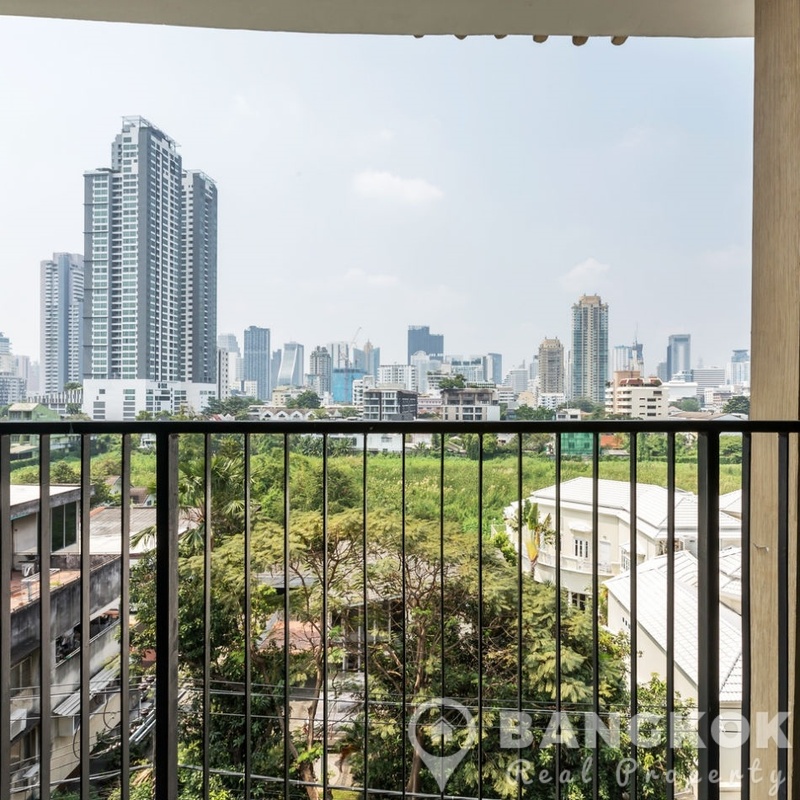 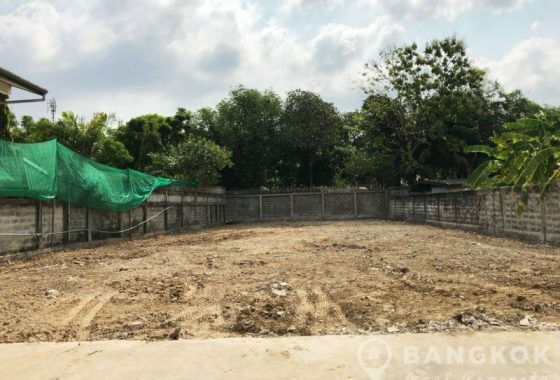 Developed by Siamese Asset and completed in 2013, Siamese Thirty Nine is a low rise project comprises of 2 buildings each with 7 floors and a total of 87 units.